Considered the premium variety of straw for landscaping use because it contains more resin which means the straw will break down more slowly and last longer. Longleaf straw is also very uniform in color and texture. COVERAGE GUIDELINES:1 bale covers an area approximately 50-45 square feet to a recomended depth of 3 inches. 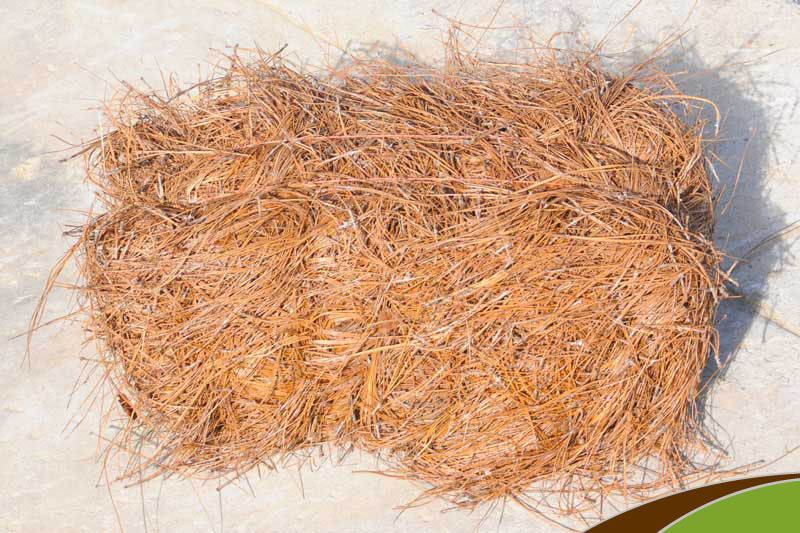 How deep should a pine straw application be?